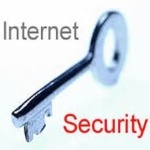 The biggest challenges people are facing today in our online world is that there is so much information out there that everyone is exposed to security threats. So how do you protect yourself? Jason Hartman interviews Phil Alexander, security and data expert and founder of Data Privacy Network regarding phishing attacks, credit card fraud, and more.Phil warns people to watch out for scammers trying to get usernames and passwords or asking for money. He also recommends using gift cards instead of credit or debit cards when making online purchases, and being very careful about the information a company requests. For instance, social security numbers are NOT necessary for online purchases. Phil and Jason discuss passwords, noting that there are many programs out there that can guess a password in a matter of minutes. Complex or strong passwords are crucial, and Phil advises being very careful about putting personal information out on the web. The most important information Phil imparts is know what your children are doing online, who they are emailing and chatting with, and the social networks they use. He offers suggestions to protect your children. For more details, listen at: www.HolisticSurvival.com. A 20-year IT security veteran, Philip Alexander has worked in both the public and private sectors. His experiences include performing data security work for the United States Army, the financial services sector, travel & leisure, healthcare and telecommunications. Phil is also an accomplished author, having published a numerous articles, several webinars and three books, as well as public speaking on the critical issue of internet and data security.